Hiroshi Kawaguchi, better known as Hiro and Hiroshi Miyauchi, is a composer and manager at Sega widely known for his work on various classic series. Born on April 12, 1965 in Chiba, Kawaguchi surprisingly did not enjoy music classes atall as a child, but went on to develop a passion for folk artists such as Masashi Sada in his teenage years. Soon enough, he started to learn to play folk guitar, compose his own music, and participate in a cover band with some friends. While at school, he also developed a love for LEGO that continued into adulthood – he even went on to found a website dedicated to the hobby. Though Kawaguchi did not play arcade games, he owned a Commodore VIC-1001 during the 1980s and learned how to program with it. As a result, he decided to pursue a role in the games industry and was successfully recruited to Sega – as a programmer, not a composer – in 1984. He went on to program a number of SG-1000 titles, one of them being Girl’s Garden alongside Yuji Naka. Kawaguchi continued to produce music in his spare time while a programmer at Sega. In a lucky break, Yu Suzuki heard some of his tracks and asked him to create the soundtrack for the hit arcade racing game Hang-On. The four track score was headlined by the main background theme “Theme of Love”, which endeared listeners with its memorable melody and driving rhythms. Benefiting from his background in programming, he also overcame hardware limitations to create suitable motorcycle sound effects using pulse-code modulation and the YM2203 sound chip. After this success, Kawaguchi was transferred to work as a full-time arcade sound creator. Proving more than a one-hit wonder, he subsequently welcomed listeners to the fantasy zone on the shooter Space Harrier; continuing to define the classic Sega sound, he created a somewhat more elaborate score headlined by an upbeat, catchy, and well-developed main theme. Later in the year, he further demonstrated his creativity with the music for Fantasy Zone, matching the pastel colours of the title with infectious samba tracks to considerable acclaim. In 1986, Kawaguchi produced the iconic score for the racing game OutRun. Those who played the game uniquely had the choice of three compositions – “Magical Sound Shower”, “Passing Breeze”, and “Splash Wave” – to select from an in-game radio player before the action began. At request of designer Yu Suzuki, the composer matched the visual components and racing pace with a range of tracks at 150 bpm, adopting a jazz fusion sound that was popular at the time. He exceeded other game music of the day by incorporating comparatively high-quality samples and extensive, solo-heavy development. In addition to being enjoyed at arcades, the iconic compositions were ported to various other platforms by external developers and were released on several historic albums, including Sega Game Music Vol. 1. Later that year, Kawaguchi scored the motorcycle game Enduro Racer – focusing his attention on one rhythmically propulsive, extensively developed theme featured during the main gameplay. He also marked the debut of Sega’s mascot on the Alex Kidd: The Lost Stars with a range of youthful and lively tunes. In 1987, Kawaguchi reunited with Yu Suzuki on the flight simulator After Burner. Once again focusing on quality over quantity, he created five tracks in a gritty fusion style. The title’s iconic theme “Final Take Off” opened with an ascending three chord progression and maintained motion thereafter with rapid funk-influenced leads. To promote this game, Kawaguchi made a nerve-racking live debut interpreting the game’s music on keyboards with a band at Ikebukuro Sunshine 60. The artist returned to create the enhanced version After Burner II shortly afterwards, offering one new composition and slightly richer synthesis. 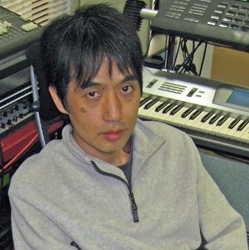 Kawaguchi’s compositions also featured on a string of true sequels, namely Super Hang-On, Fantasy Zone II, and Turbo OutRun; in each case, the composer maintained the stylistic and thematic foundations of each score, while offering a wider range of compositions and various technological improvements. In 1988, Kawaguchi also wrote the expansive score for Power Drift, depicting the accelerating engines with rock and jazz fusion elements, between writing some frivolous pop tracks for Dynamite Dux. 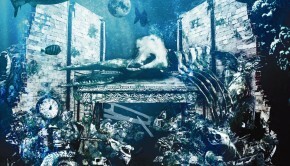 Following the positive reception of Kawaguchi’s music in a studio and live setting, the Scitron record label decided to finance the development of a rock band – the first of its kind in game music – to interpret Sega’s music. Named the S.S.T. Band, it featured five musicians within and outside Sega, including Kawaguchi on keyboards. The artist headlined the band’s debut on 1988’s Galaxy Force ~ G.S.M. Sega 1 with inspired arrangements of his main themes for OutRun, After Burner, and Space Harrier and went on to produce three more studio albums with the band. Kawaguchi also took centre stage on several live appearances of the band, including their historic set at the Game Music Festival ’90 – receiving a glorious reception as the man behind Sega’s most iconic tunes. Kawaguchi nevertheless balanced this work with continuing to work on classic arcade scores, notably scoring the racing games GP Rider and Super Monaco GP in his characteristic style. Struggling with hectic schedules, Kawaguchi decided to leave the group later in 1990, to be replaced by newcomer Takenobu Mitsuyoshi. At the end of the 1980s, Kawaguchi made his debut on the Genesis. In his first project, he developed robust music and sound effects for the RPG Sword of Vermilion using FM synthesis. While one of his most diverse efforts, he didn’t stray from the key components that made his earlier scores so successful: enjoyable melodies and groovy rhythms. In 1991, Rent A Hero and Ninja Burai Densetsu were released, both featuring Kawaguchi’s music; the composer matched the humorous tone of the former with several loops, while filling the latter with traditional Japanese tonalities. Also continuing to work in more familiar territory, he further asserted Sega’s cool arcade sound on G-LOC: Air Battle and GP Rider, though his contributions for such projects didn’t resonate as widely as his previous work. The artist explored new territories once more with the abstract funk score for 1993’s Metal Fangs, a futuristic racing game released for the Genesis. Also that year, Kawaguchi also received the opportunity to join the Sonic phenomenon as the sound director for the series’ little-known arcade spinoff, filling the title with suitably light-hearted and fast-paced tunes. Kawaguchi’s experience was recognised as Sega’s arcade division expanded during the 1990s. 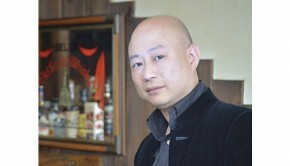 He became the sound section manager of Sega AM3 and also continued to oversee many of the scores produced by Sega AM2. Too busy to score most franchises important to him, he delegated most of his compositional responsibilities to his juniors such as Takenobu Mitsuyoshi, Takayuki Nakamura, and Yasuhiro Takagi. For titles such as OutRunners, Daytona USA, and Fighters Megamix, Kawaguchi produced well-received, familiarly styled guest contributions. In most other projects, for example the Virtua Fighter, Virtual-On, and Dynamite Deka series, he only worked in a supervisory or organisational capacity. Outside his normal responsibilities, he also squeezed in some roles in exotic projects. 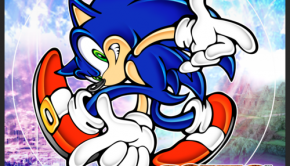 For example, he supported several of Sega’s amusement park rides, for example Rail Chase The Ride, with exciting music. Having made extensive connections outside the industry, he was also invited to participate in some original albums for the indie labels Synergy and Troubadour. MCMXCI, Great Wall, and Game Over all featured his guest contributions. While the golden age of Sega’s arcade games had drew to a close, Kawaguchi continued to push the company’s machines to their limits. Writing 1995’s Cool Riders considerably later than his other racing scores, he wrote a technologically commanded score that perfectly complemented the visuals. The artist continued to reflect his love for jazz fusion and rock music, and even incorporated a nostalgic arrangement of “Theme of Love”. Going on to lead the music production and sound programming for Sega Touring Car Championship, the composer took a very different direction – mixing electronic tracks licensed from external artists with his own unique blend of retro and trance stylings. Kawaguchi additionally assisted the sound production for WaveRunner, Le Mans 24, and Virtua Fighter 3tb in technical roles. 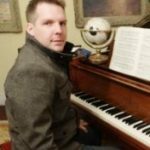 He also produced complete arranged versions of his music for OutRun and Power Drift on behalf of the Saturn’s Sega Ages re-releases. These tracks, together with several of his other classic scores, were published on the ‘Yu Suzuki Produce’ series of albums published by Marvelous Entertainment in 1997 and 1998. In 2000, Kawaguchi created much of the music for Crackin’ DJ and its sequel, both among Sega’s unsuccessful attempts to enter the rhythm games market. Combining new compositions with arrangements of arcade classics, the soundtrack emphasised interactive rhythmic elements throughout. In collaboration with several other musicians at Sega’s arcade team, the artist also formed a rock band called [H.] to perform a number of the covers on the project. After their low-key entry, the band has continued to perform till now and have been described as a spiritual successor to the S.S.T. Band. In 2001, Kawaguchi experimented in the hip-hop genre for the first time on the arcade skateboarding game Air Trix and created a suitably off-the-wall score for the Dreamcast remake Rent-A-Hero No. 1. He went on to work as an additional composer on the Derby Owners Club series, before mourning the fall of Sega with Segagaga. Also continuing to serve as sound section manager at Sega AM3’s successor HItmaker, Kawaguchi supervised a number of the company’s other soundtracks before the division was absorbed following a restructuring. Since 2005, Kawaguchi has primarily contributed to retrospective projects. He was closely involved in the collaborative scores for After Burner Climax and OutRun 2006 Coast to Coast, blending nostalgic arrangements with modern technology. The artist also reflected his current tastes in music with some cutting-edge guest contributions for Sega Rally 2006. In recent years, Kawaguchi has also worked closely with record label Wavemaster as a sound producer on various compilations featuring classic arcade music, including large box sets dedicated to OutRun, Fantasy Zone, and After Burner. He reunited his band [H.] to record well-received covers on such albums and various others, often handling the arrangement duties himself. Following such successes, the band went on to make several well-received live performances at events, including the Extra: Hyper Game Music Event and Tokyo Game Show. Under Kawaguchi’s influence, the band has become known for blending classic rock-styled arrangements with pop-flavoured vocal performances, releasing examples of both approaches in a compilation album during 2011. Kawaguchi has also supported the Power Drift Original Soundtrack and, in a surprising tie-in, Bayonetta with remixes of his classic work. 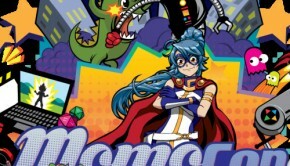 With Sega among the few companies still producing new arcade games, Kawaguchi has lent his experience to a number of novel projects in recent years. In contrast to most of his previous works, no gritty bass riffs or cool guitar solos could be found on 2009’s Tetris Giants. Instead, he filled the soundtrack with punchy, upbeat pop themes sung by young idols such as Yui Ogara. Kawaguchi maintained a similar approach on 2012 rhythm game maimai, offering the fast-paced anthem “Honey Trap” and uplifting ballad “Lost Summer”. Once again, the game appealed to a niche audience and was not released outside Japan. Among other roles, he has supported the sound production of Yakuza 3 and Yakuza 4, albeit without making any direct contributions to their soundtracks. Also a member of the short-lived sound creator’s alliance GE-ON-DAN, the artist contributed a dance remix of Yuji Takenouchi’s original song “Twinkle Link” for a special album. Despite a scarcity of recent works, Kawaguchi is regarded as one of the most influential and experienced musicians in the industry, having been at Sega for over 25 years. © Biography by Chris Greening (September 2010). Last updated on December 30, 2012. Do not republish without formal permission.